I often see people looking for information on how to get started in racing and can't find the info readily available, so here is my guide on how to get into the sport. If you have never been on track before it is advised that you start by doing track days. Motorcycle track days can be done in Mondello Park and Kirkistown Race Track. Also if you've never been close to the action before you could go down to Mondello on any race day where they are always looking for volunteers to marshall, they will show you the ropes and the help would be very much appreciated! There are Motorcycle Marshals Association Training Days and there is great camaraderie amongst the marshals. So, start out by doing a few track days to see if your able for it. Over time, as you increase your speed, you can move up the track day groups from novice to intermediate to advanced. When you feel you're up to speed and are ready for racing you may want to apply for a race licence. Firstly in order to get a race licence you must be a member of an affiliated Motorcycle Club, a list of which can be found here - MCI Affiliated Clubs. It usually costs around 15 euro to join a club and you can do so at an affiliated clubs flag and anti-doping seminar. Flag and anti-doping seminars are ran by most clubs. At this seminar they display each flag and tell you its meaning. You are also briefed in relation to Sports Council of Ireland anti-doping regulations. This must be done by a racer every year. 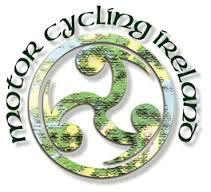 You sign an attendance sheet, this is sent to Motorcycling Ireland so they know who has completed the seminars. You are given a Flag and Anti Doping Seminar form which is signed and stamped by the club which you must include when sending away your licence application. A race licence application form can be downloaded here. You must get your club to stamp and sign the race licence application form on the first page. If you are applying for a race licence for the first time, after you have completed the necessary personal details on the application form, you have to select Type B - Short Circuit and tick Newcomer. If you are under 18 years of age your parent or guardian needs to fill in the parent/guardian section. Then go to the medical section of the application form on the last page of the form, page 5. If you are under 18 this needs to be completed by your parent or guardian. If you have answered yes to any of the "Medical History" Yes or No questions on this page you are required to attend a doctor and have a medical and the section underneath the questionnaire completed, signed and stamped by your doctor. The cost of this depends on your doctor but it averages at around €50. If you have answered no to all of the "Medical History" Questions on page 5 you do not require a medical. This must be dated in the same year that the race licence is for, so if the licence is for the 2016 season then the form can't be filled out before the start of the year 2016. In previous years, all persons were required to complete a medical every year and an eyesight test, then every 3 years. The last two years, newcomers were only required to sit a medical. For all other persons, if they had an accident with injury they were required to give back their licence and re sit a medical. If you have not had any accidents and answered no to all the medical questions you do not require a medical for renewals each year. We will confirm this for you and update this post. When you have the above done and have the application form fully filled out send it away to Motorcycling Ireland, Unit 18, The Beat Centre, Balbriggan, Co. Dublin with a passport photo and a cheque or postal order made out to Motorcycling Ireland for €80. Before you do your first race you must complete a Newcomers Assessment Day and be passed to race. In the southern centre this is held in Mondello. This year it is on March 5th and the application form can be found here. This needs to be submitted prior to February 22nd 2016. You will also need to get a race number. You will also need a transponder for racing, the transponder is the device you attach to your machine which is picked up by the circuits timing device and tracks your lap time and race position, these can be rented at the meeting for on average €25 per meeting or can be bought new for around €400 from MyLaps. You may also be lucky and pick one up second hand on donedeal, some of the bike forums, ebay or bike racing or trackday groups on facebook for around €250. You will also need to prepare you bike for racing. This involves such preparation as lock wiring your oil filter, filler cap and drilling and lock wiring your sump nut to the bike. You must also drain all coolant from your bike and replace it with water. You are required to have a rain light which can be turned on and off and this must be mounted on the tail of your bike and centred. For each class you are required to have a certain size race number in the relevant colour for that class on the relevant colour background. It is advisable to get your bike suspension set up for your weight by a suspension technician before going racing and consider changing from standard to aftermarket suspension which will improve your bikes handling and your riding considerably. Use race tyres not road tyres and using front and rear paddock stands, use tyre warmers in between sessions/races to keep them hot for best grip. Enquire with a tyre supplier/technician or an experienced racer in the paddock as to the correct pressures to run for the brand of tyre you are using. Check that your tyre pressures are correct before each time you go out on track. I usually check them while hot so if you are doing this make sure and ask who you are asking what pressure the brand of tyre should be when cold or hot and set appropriately. The people in a race paddock are a helpful bunch and look out for each other. If you are in doubt of anything or need some help don't be afraid to ask. We all had to start somewhere. For all technical queries on preparing your bike for racing see our Technical Information Section (coming soon), the MCI Technical Forum group on Facebook or email mcitechqueries@gmail.com. If you have any questions that were not answered in the above feel free to email me on Scoopsracing@gmail.com and I should be able to help you with any queries!